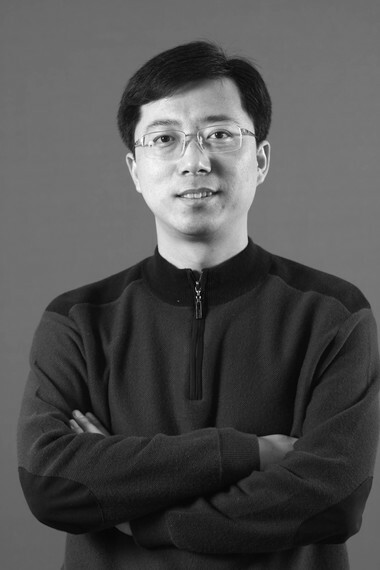 Zhang Yu received his Bachelors and Master's degree in Electronic Engineering from the Tsinghua University and went on to receive his Doctorate from the Beijing Institute of Technology management. He started off his career as an intern at Huawei's HQ in Shenzhen where he was able to focus on the electronic design aspect of his work. One of his biggest moments he said was when he was awarded the world's highest achievement award by Microsoft. He said; "It was a great joy for me and my team to have been able to deliver results at a time when companies were under so much pressure during the global crisis." Zhang Yu has a rich industrial background and management experience. He has served as a product manager at Huawei; he is the Vice President of the SkyOcean Group and also Chairman of Comb+, a famous tech brand under SkyOcean Group. He has spent ten years at Microsoft where he was responsible for sales, cooperation management and investments. He was once Microsoft Asia Pacific R & D Group Chairman Assistant. Also, Zhang Yu has numerous awards and honours to his name. Some of which are the Microsoft world's highest achievement award (Top Attainment Worldwide Award), and the Circle of Excellence Platinum Award, amongst many others. He also has a number of academic journal papers to his name. When entrepreneurship and innovation is promoted, the opportunities for employment expand, the income of resident's increases and it is advantageous to the longitudinal flow and promotes social equity and justice. Essentially letting the people in the process of creating wealth and better realising the pursuit of their own value. "Innovation has become a necessity in today's China development. Dancing with the mind of young entrepreneurs is a kind of enjoyment. They will breed the new economic growth." Presently, Comb+'s International Innovation Entrepreneurship Base has been successful with a lot of well-known enterprises at home and abroad and this number Zhang Yu is convinced will continue to increase. On the Comb+ Incubation Platform, entrepreneurs can enjoy the mentors, industrial and commercial registration, public administration, policy advice, financial management, legal services, intellectual property rights, talent recruitment, industrial supporting resources, industry BBS, a series of services, such as marketing to obtain full support in the process of entrepreneurship. According to Zhang Yu, Comb+ has also built online the important resources as an innovative service overall solution provider and is is poise to be an online Silicon Valley. The buzzer hives will integrate the incubator and industrial park resources at home and abroad covering global entrepreneurship hotspots including Beijing, Shanghai, Hong Kong, USA, Europe, Australia and Israel to form the global network for hatching. Asked what was the greatest advice when facing challenges in career and how a newbie can take his career to the next level, Zhang Yu had this to say; "When faced with career challenges, the best advice that sticks in my mind is to face my fear of the unknown, never give up and believe in my own potential. "Those who were bold enough to face their fears were rewarded with much higher accomplishments and broader horizons." He advised that people just starting out their careers should learn more and work more and advised them to do their jobs well and at the same time to develop their abilities. It is also important to note, he said, the ability of ascension may not only in professional skills, is the ability to a broader concept, such as leadership, time management skills, connections and so on various aspects.